This is a great, quick, and light recipe for those days when you want something sweet, but don’t want to heat up the whole apartment using an oven. It’s based on a Japanese recipe (they call it a ‘rare’ cheesecake) but I’ve added a few twists. 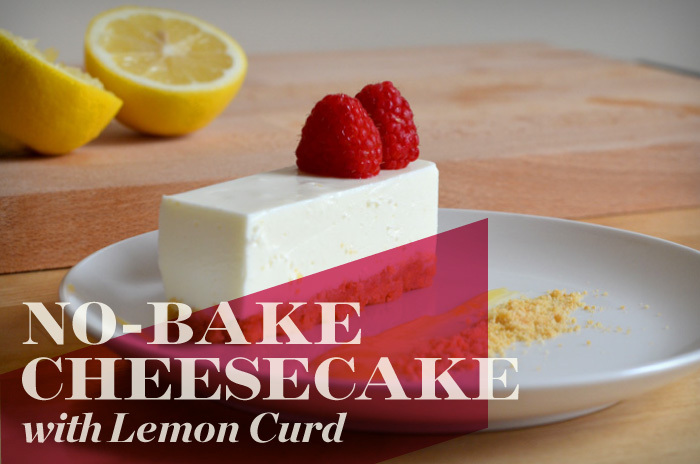 The recipe below is for the cheesecake and almond soil in the picture; I used the Joy of Baking recipe for a delicious zesty lemon curd that goes beautifully with the creamy cheesecake. I used Knox gelatin, which is 225 bloom (strength). 7g of the powder sets 2 cups (500ml) of liquid; but strength of gelatin varies across brands and you may prefer something softer/firmer. Also just a note that gelatin shouldn’t be boiled/cooked or it won’t set. This is all you will need! 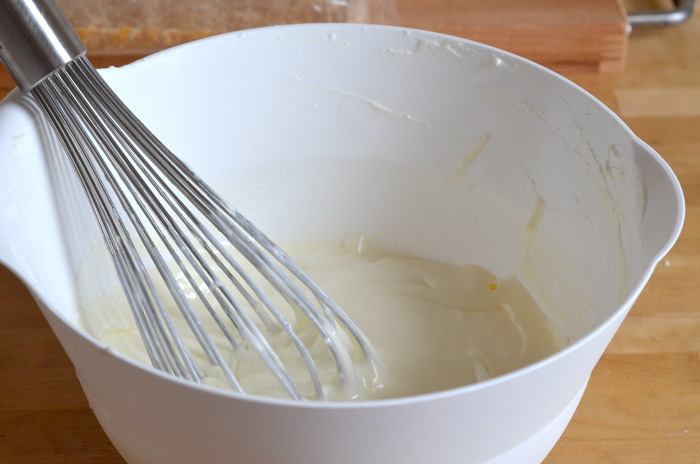 The cream cheese will be easier to mix at room temperature. 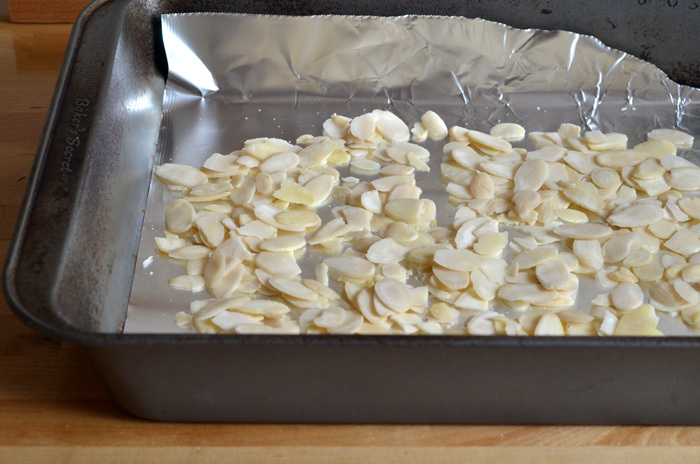 Roast the almond slices in a roasting pan under the grill. 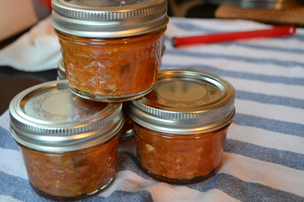 This only takes a few minutes and can be omitted altogether if you don’t want to use the oven at all. 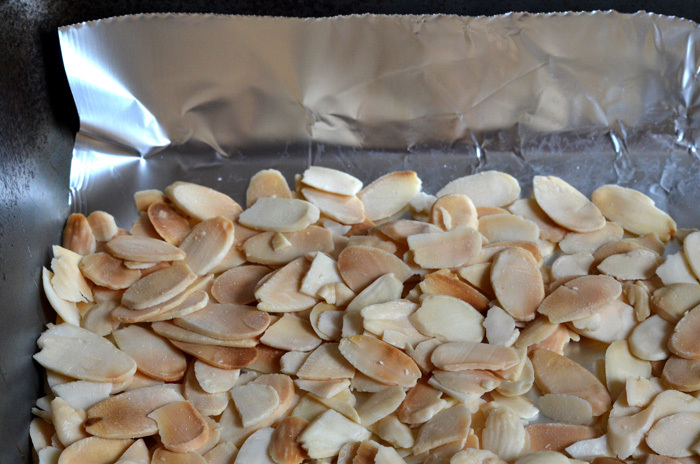 Almonds when they are done – they should have a slight color on them and a very rich, toasty aroma. 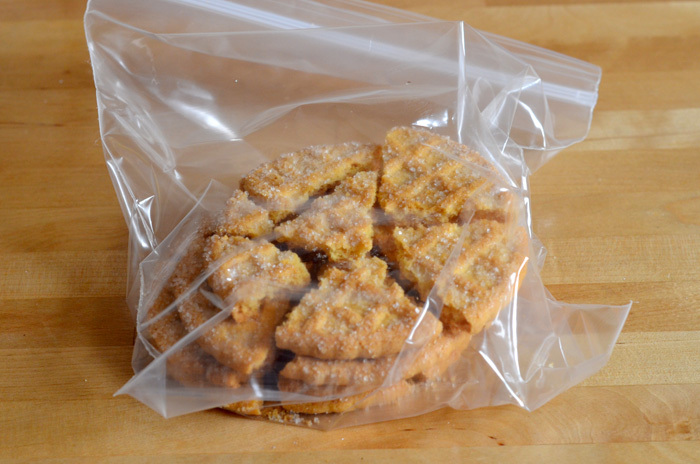 Crush the biscuits and almond flakes in a bag with a rolling pin or wine bottle – or food processor if you have one. I like the crust to have some texture and little chunks — so I stopped here and reserved a small portion for the soil, which I crushed further to form a finer mix. 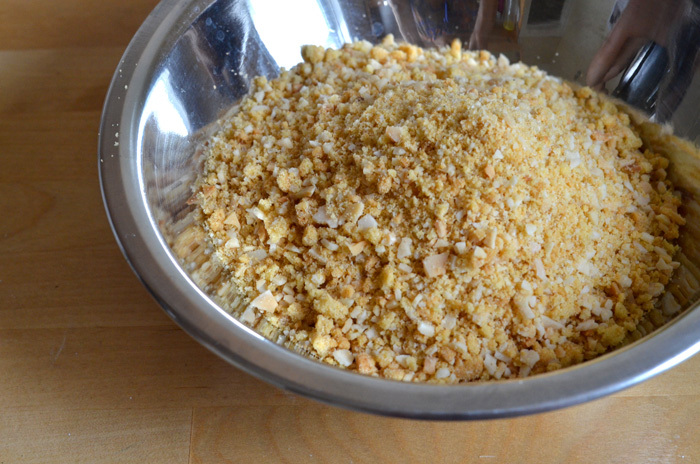 Melt the butter in the microwave for 20-30 seconds, then mix it into the biscuit/almond mix. 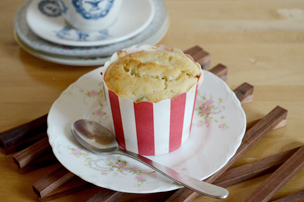 Pack your cake tin, or in this case a tupperware box, to form a solid and even base. 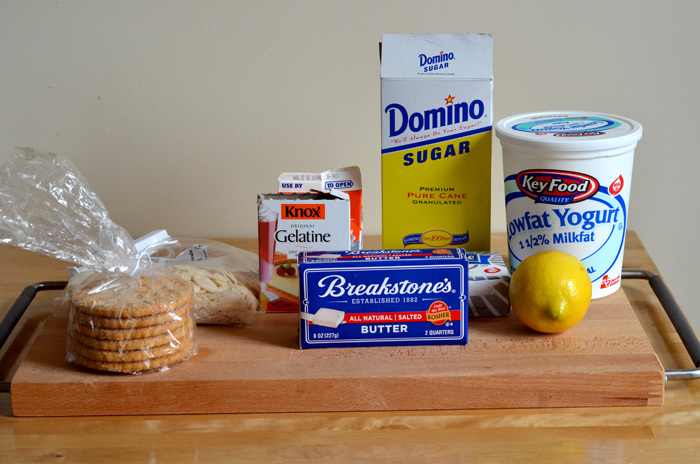 To make the cheesecake mix, add to the cream cheese the sugar, cream, yogurt, and lemon juice, mixing thoroughly after adding each ingredient. 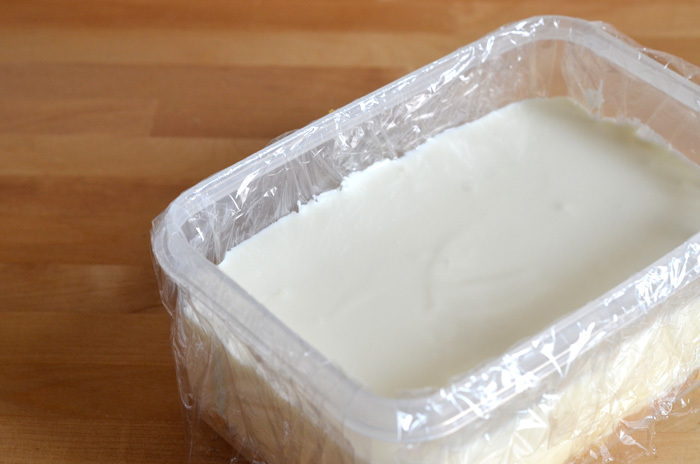 The cream cheese can be microwaved for 20 seconds if it’s not soft enough. It should be a smooth, creamy mixture that looks a bit like mayonnaise. 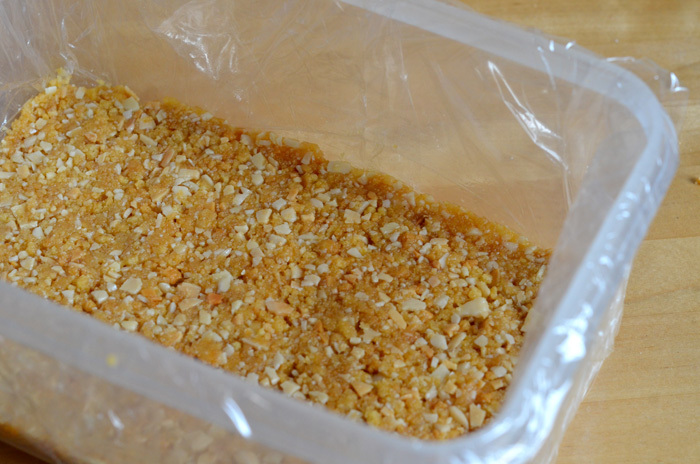 Weigh out 5g of gelatine powder and dissolve it thoroughly in 50ml of boiling water, then add to the cheese mixture and mix well. Pour the mixture over the base and refrigerate for 3-4 hours. It will set to be a soft, creamy texture like pannacotta. 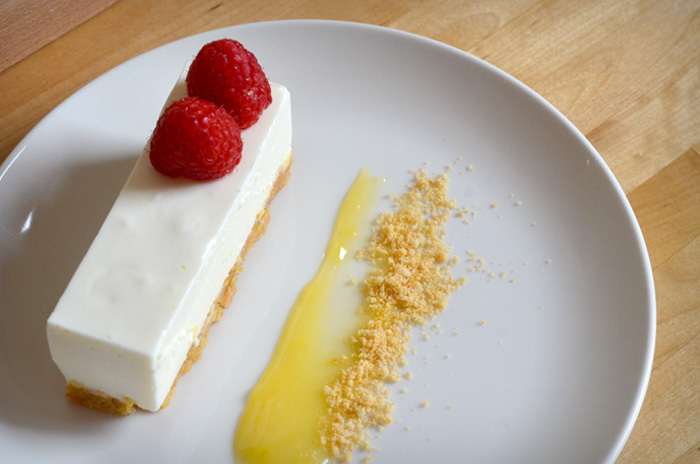 Serve with the lemon curd, almond soil and your favorite berries. Looks so good and tasted even better! The blog is looking AWESOME!